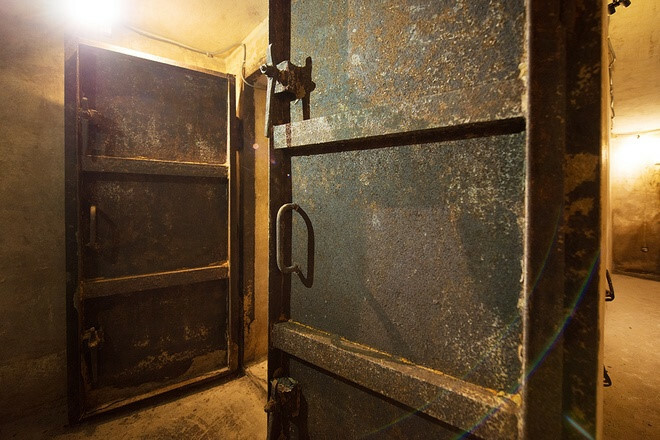 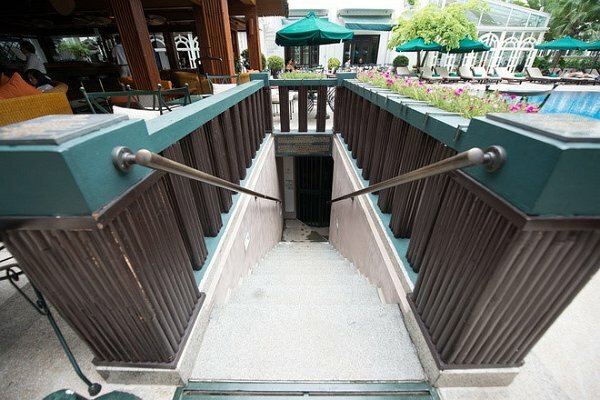 Measuring 40 square metres, the bomb shelter under the Sofitel Legend Metropole Hotel Hanoi is open free of charge to visiting hotel customers. 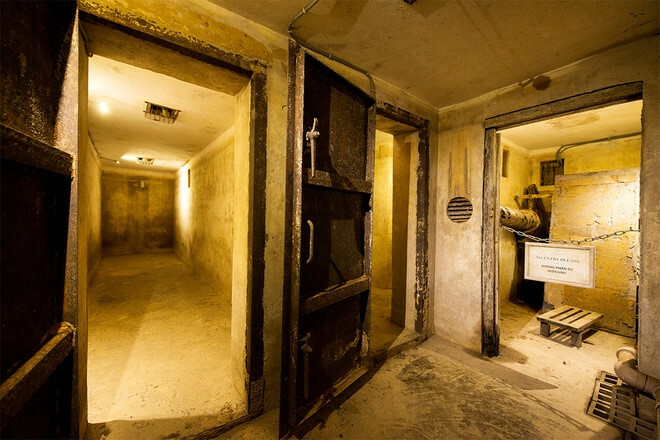 Every day there are two tours for visitors to the tunnel, maximum 10 people per tour. 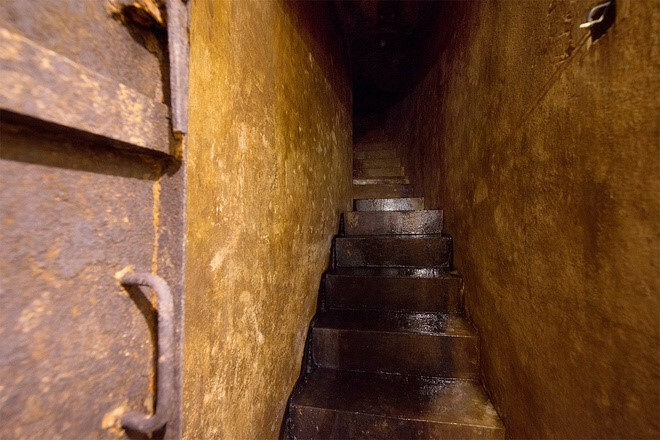 Entryways to the tunnel and connecting corridors between rooms are small, narrow and dark. 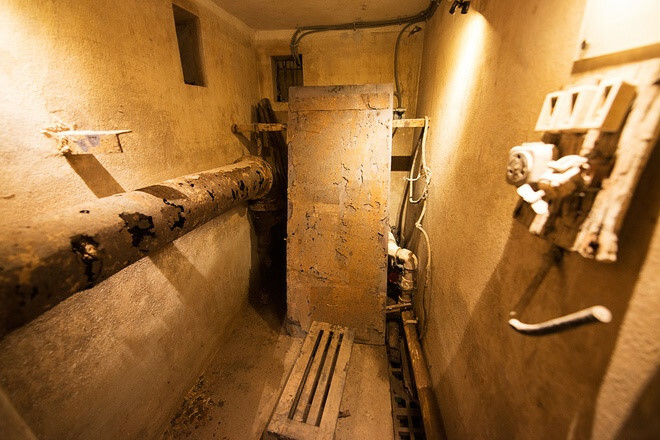 For convenience, the bunker has ventilation and electrical systems. 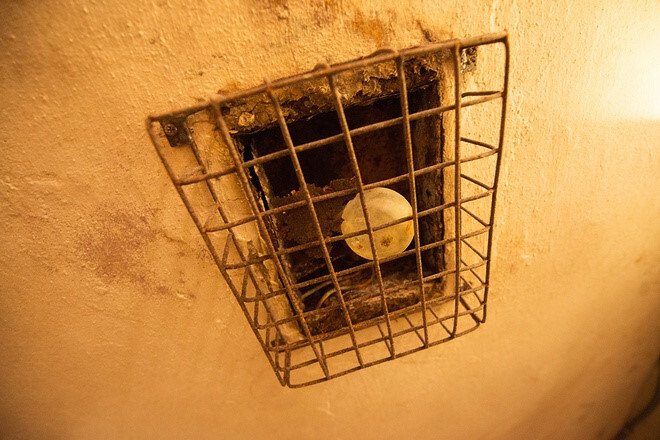 The ventilation system ensures air for 40 guests for six days. 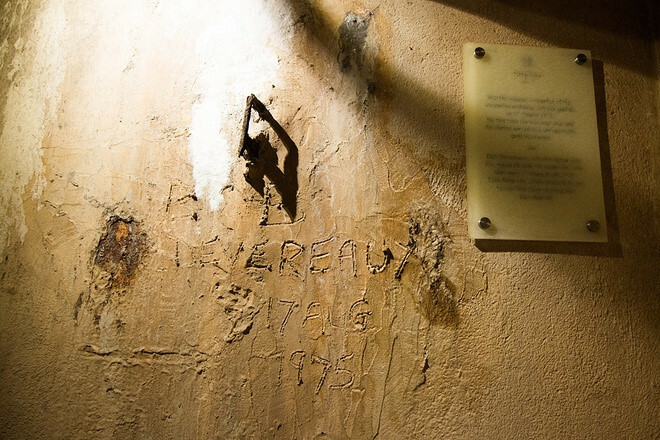 Australian diplomat Bob Deveraux carves his autograph on the wall back in 1975. 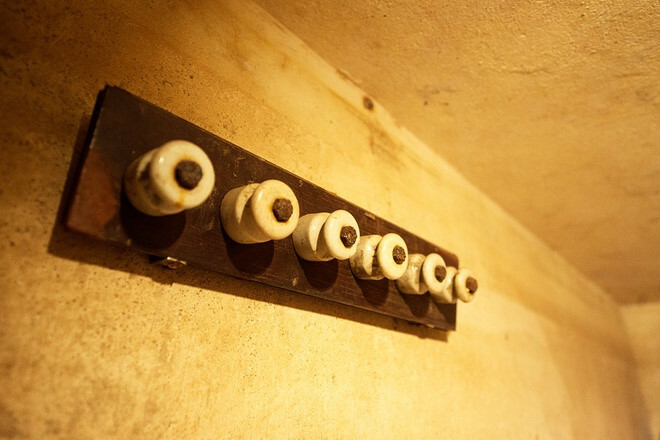 Construction workers find an old wine bottle, still-intact light bulbs, air ducts, graffiti all eerie echoes of a war that ends almost four decades ago. 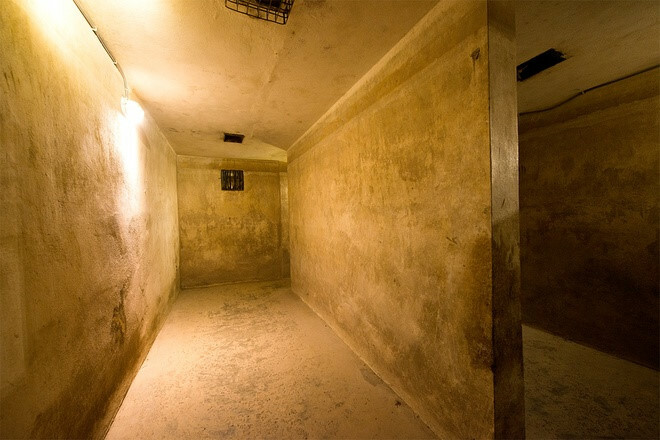 In 2013, the bunker receives a UNESCO Asia-Pacific Heritage Award for Cultural Heritage Conservation. 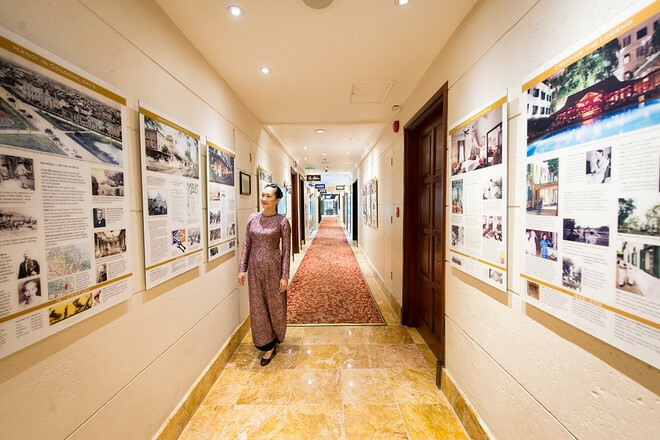 Sofitel Legend Metropole is the oldest hotel in Hanoi, having opened in 1901.